Love short stories? I release never-before-published shorts regularly on my Patreon account! About the Story: 17-year-old Delia Randall spends her days studying aboard a massive scientific submarine and building robots in secret. But her secret comes out when disaster strikes the GalaX Undersea Habitat, and the only one who can prevent tragedy is Delia—and her hand-built ROV, Amphitrite. 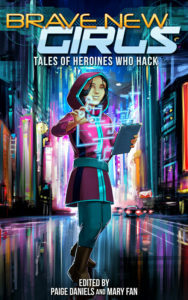 About the Anthology: These collections of sci-fi stories features brainy young heroines who use their smarts to save the day. Girls who fix robots and construct superhero suits, hack interstellar corporations and build virtual reality platforms. Who experiment with new-fangled devices and tinker with time machines. Who defy expectations and tap into their know-how—in the depths of space, or the bounds of dystopia, or the steampunk-y past, or the not-too-distant future—to solve despicable crimes, talk to extraterrestrials, and take down powerful villains. Revenues from sales of this anthology will be donated to the Society of Women Engineers scholarship fund. Let’s show the world that girls, too, can be tomorrow’s inventors, programmers, scientists, and more. About the Story: Madeline knows her role in life—such as it is. She’s an animatron, a lifelike robot built to perform in a fairy tale-inspired theme park. And she’s an Ugly Stepsister. Her destiny is to play second fiddle to the famous Cinderella, to help her shine before the park’s audiences three times daily (five on weekends). But Cinderella isn’t content with being the star of the park. She believes she’s destined for something more. When Cinderella disappears, Madeline comes to realize that maybe she isn’t conscripted to the role the fairy tale laid out for her. And if she wants to save Cinderella, she’ll have to believe in herself… and her very life. 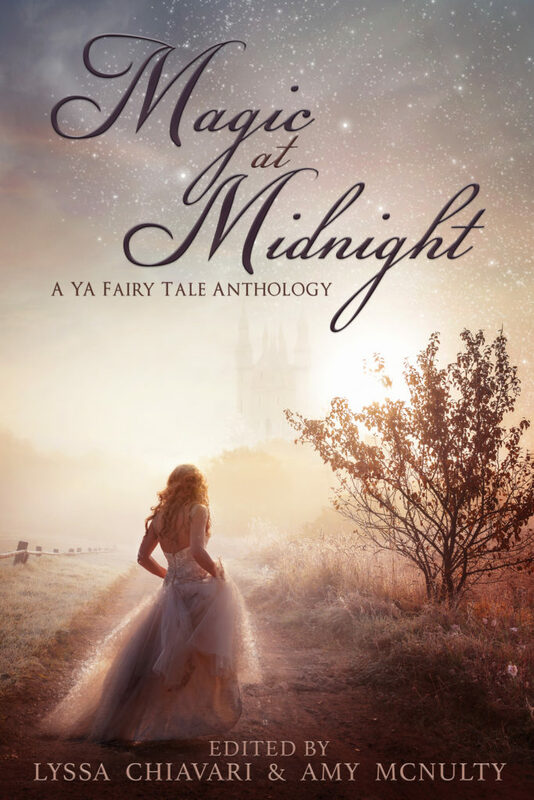 About the Anthology: Turn the pages and fall into the enchanting worlds of beloved, age-old fairy tales made new again in this fifteen-story collection from Snowy Wings Publishing. From sci-fi to fantasy, contemporary to historical, paranormal and more, there’s a fairy tale retelling in this collection for every reader. Featuring stories from bestselling and award-winning YA authors as well as emerging voices, this anthology will take you to distant worlds and back again—all just familiar enough to make you feel at home. About the Story: Once upon a time, there was a girl who lived in a fairytale… until the day she killed her mother. In this sci-fi/fantasy retelling of Snow White, dragons dwell in the heart of the mountain, weaving magic and mining crystals with the power to fuel the world—and a princess leads her people in a war against a power-hungry technocracy. About the Anthology: The future is vibrant, hopeful, and filled with dragons. 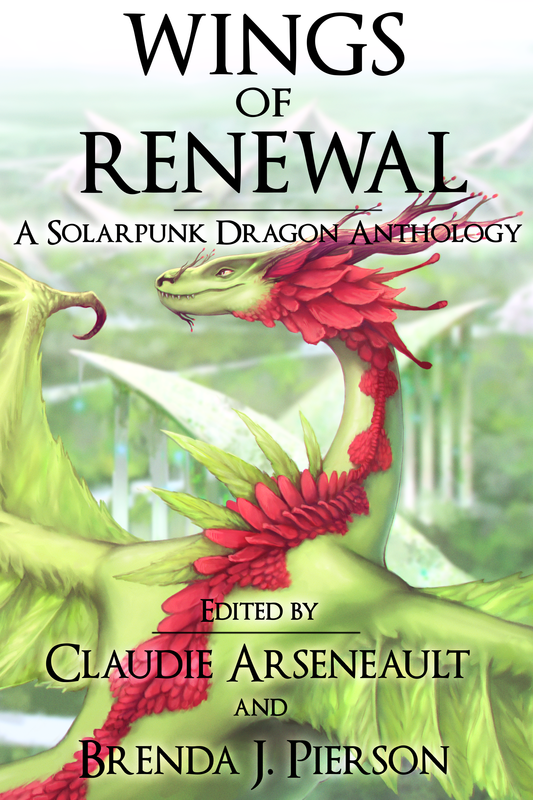 In Wings of Renewal, nineteen authors explore the exciting new subgenre of solarpunk through the lens of majestic dragons. Whether they irrigate dry terrain or serve as spaceships, are mythic beasts come to life or biomechanical creations of man, these dragons show us a world where renewable energy overcomes gas and oil, and cooperation replaces competition. 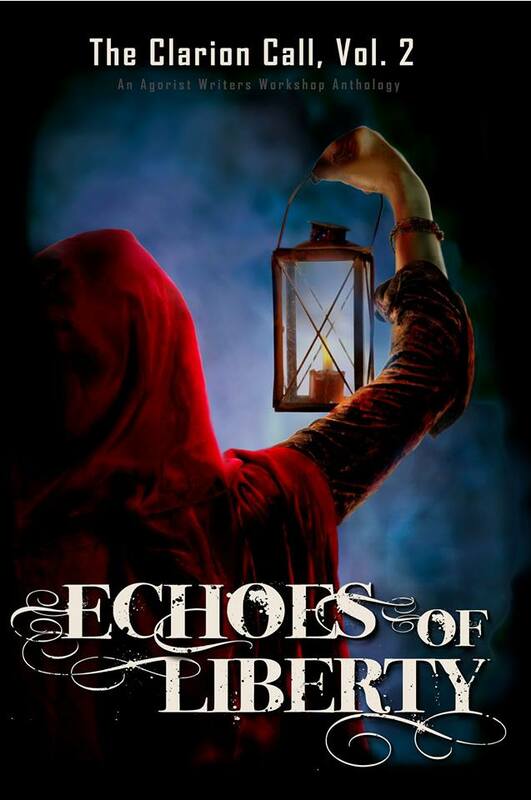 If you love fantasy/sci-fi fusion, this is an anthology you do not want to miss! So hop on solar wings, and follow us into futures that—for all their witches and dragons—are far more possible than they might seem. About the Story: Miranda doesn’t want to be different. On Gale, being different can get you killed. When her seizures began, Miranda tried to keep her abnormality secret. But then the visions started—ominous hallucinations of strange lights in the sky, an otherworldly monster with wings like a dragon, and a girl who appeared from the clouds like a bolt of lightning. Despite the ever-present threat of the Watch, Miranda is determined to find out what the visions mean. Little does she know that the answers might lead her to freedom. About the Anthology: In Perchance to Dream, some of the hottest names in YA today reimagine ten of Shakespeare’s best-known plays and sonnets for a new audience. From sci-fi adventures on distant moons to modern magic found in everyday places, these updated myths pay homage to the Bard’s timeless storytelling while spinning fresh and original tales that will captivate readers all over again. December 2015, updated version released free to newsletter subscribers! About the Story: What makes something worth living for? What makes something worth dying for? Marin thought she knew the answer. As an Enforcer, she knew that she—and everyone on Iamos—lived for the geroi. But all that changes when she meets a young farmer’s apprentice named Eos, who tells her about a legendary city called Elytherios. 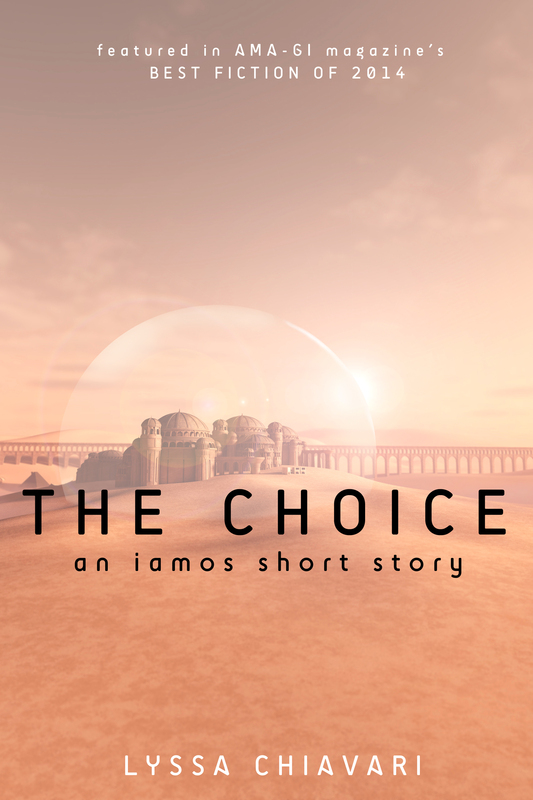 This award-winning short, set thirty years before the events of Fourth World, introduces us to two characters Isaak and Nadin encounter on their journey. Though it’s not required that you read Fourth World before “The Choice,” it may help you better understand the world, characters and the words they use. About the Story: Captain John Redfeather—previously known as Eloisa Smith, daughter of one of Charleston’s wealthiest plantation owners—fought hard for her freedom, and earned her name as one of the most feared pirates in the Western Sea. When she meets “Demon Anne” Connor, it’s not a hard decision to offer a fellow sailor a chance at freedom, too. Based loosely on the lives of real-life lady pirates Anne Bonny and Mary “Mark” Read. About the Anthology: From the starlet Marilyn Monroe to the privateer Redfeather; from the tuath of 12th century Ireland to a secret bunker in WWII Berlin; from a new hope for peace on the American frontier to a last hope for liberty in ancient Athens, the authors in Clarion Call Vol. II—the 2016 anthology from the Agorist Writer’s Workshop—bring us stories of liberty from our past, or the past that might have been.